I don’t know if you ever try new recipes on your honey just to see his reaction but I do. Often. It’s fun. I sometimes dabble in the vegan world so I like to try a new recipe every now and then. 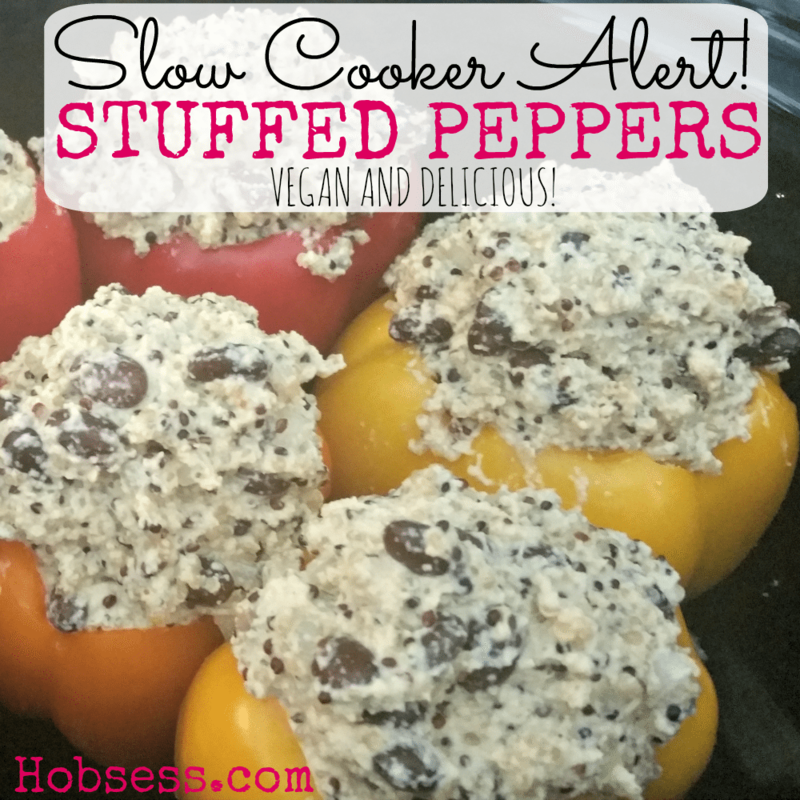 I stumbled across a Slow Cooker Stuffed Peppers recipe on My Whole Foods Life site. I love it when a machine does all the work so I am always on the lookout for new slow cooker recipes. This recipe is not only vegan but you make it in a slow cooker. Definitely a Win-Win. 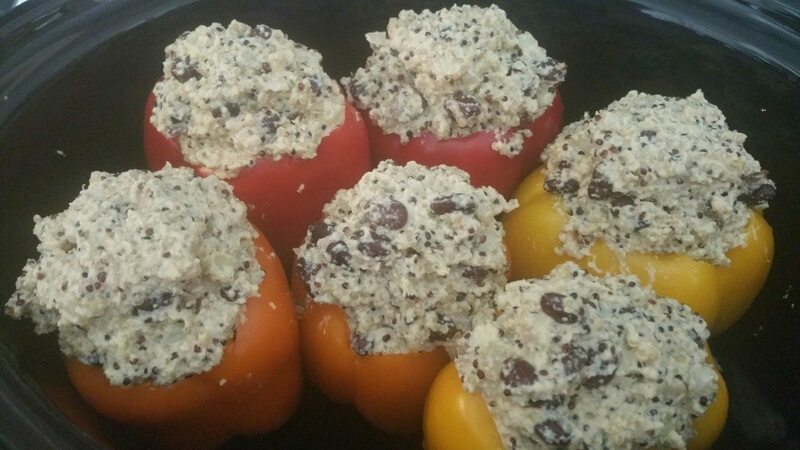 I have modified the quinoa Stuffed Peppers recipe somewhat because this author is originally from Boston, has small kids and therefore, afraid of spices! I, on the other hand, love to experiment with spices to make the dish as flavorful as possible. 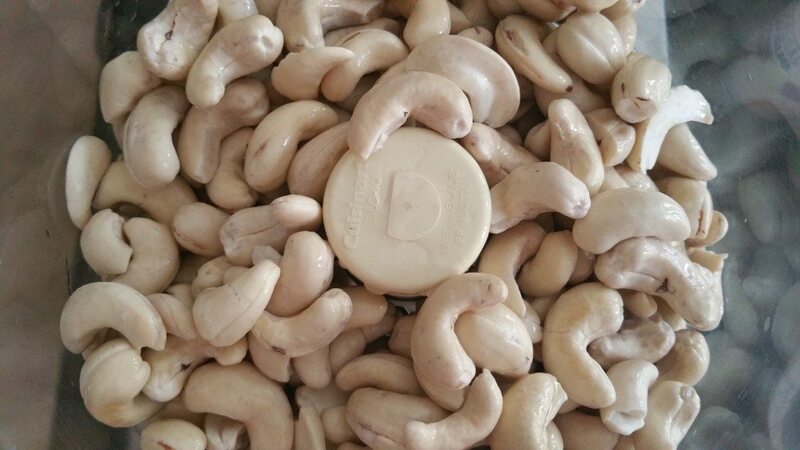 You definitely have to plan ahead for this one because the cashews have to soak overnight. You need 2 cups. After you have done this, the little nuts explode! I love hearing Sam try to say quinoa. He says “quin-o-a” or “keen-o-wa” or eventually, the phonetically correct “keen-wa.” It always takes him awhile to get there. 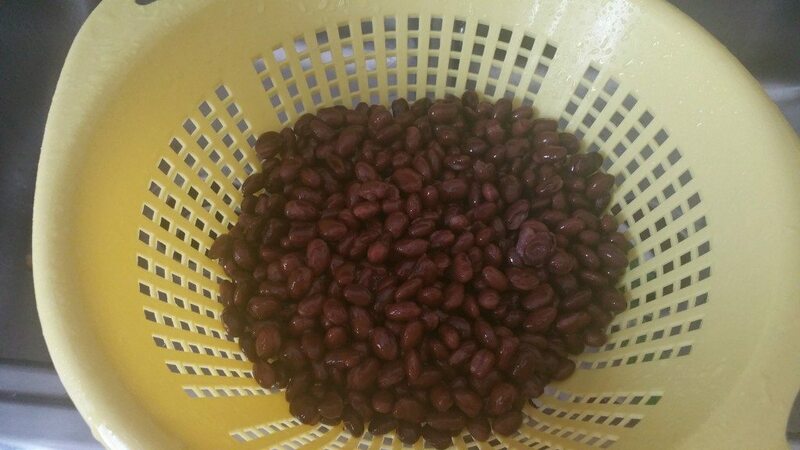 I use a rice cooker but you can make them on the stove. I don’t know how to cook them on the stove. I bought organic, rainbow quinoa. Isn’t it pretty? Here it is cooked. 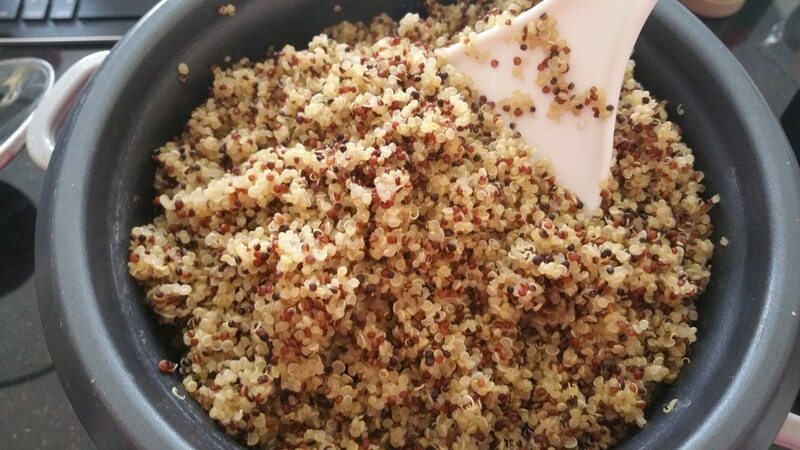 You need 2 1/2 cups of cooked quinoa. I used 2 cans. You have to rinse them because you don’t want any extra liquid in the stuffing and the goo is kind of gross. Well vegans know that a lot of us have a passion for cheese. I know I do. So they make up creative ways to substitute this beautiful omission. Here’s what you need. Blend until smooth. Really smooth. Smooth like Barry White. 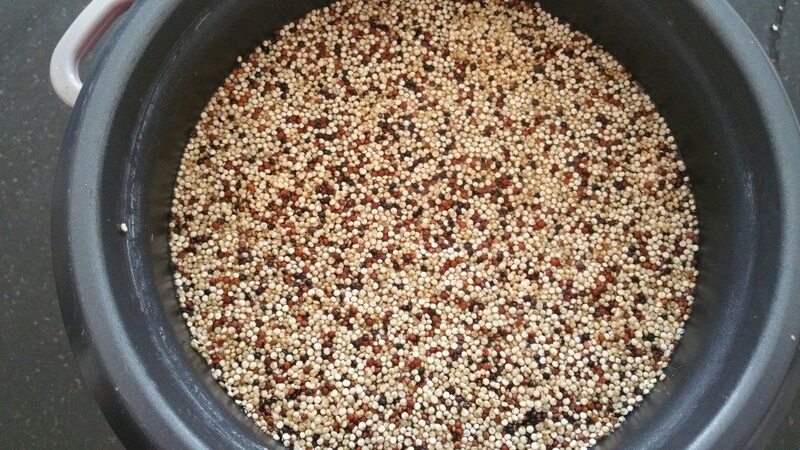 In a large mixing bowl, add quinoa, black beans, fake cheese, a spoonful of minced garlic, a cup of diced onion. Now here’s where I went crazy. 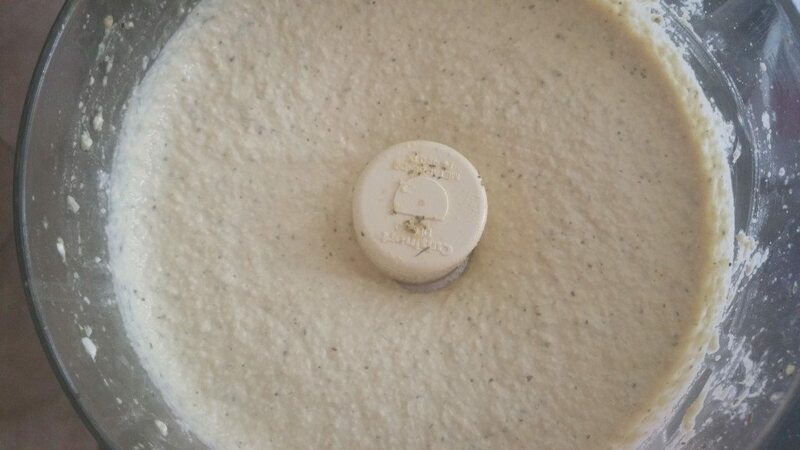 I added some of Mrs. Dash’s Southwest Seasoning, smoked paprika, a few dashes of liquid smoke, salt and pepper. Stir it all up. 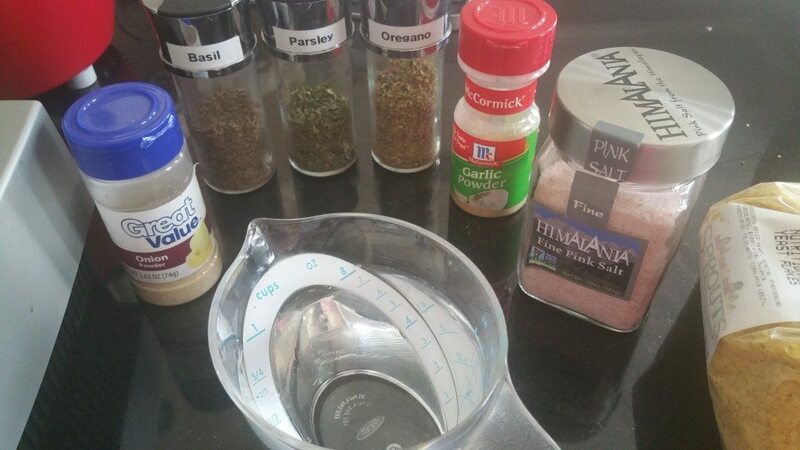 I was a little concerned about how the Italian seasoned fake cheese would mesh with the southwest flavors that I added but I can tell you that next time, I will add more of the SW seasonings. I buy packages of 6 from Sam’s but these were a little smaller than the pack I bought last so I was able to fit all of them into the slow cooker. 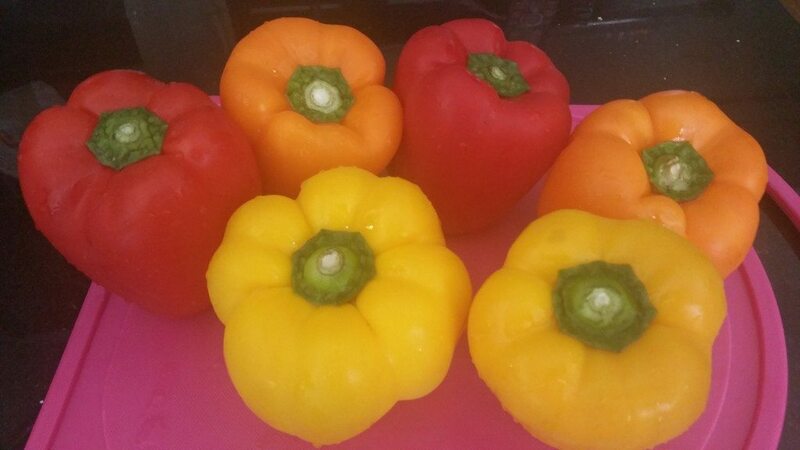 Take the peppers and see how many will fit into our slow cooker. That’s how many you are going to make. Obviously. The first time I made these, I cut just around the stem and pulled the inside stuff and seeds out. This time I followed her directions more carefully and cut bigger openings. So much easier! 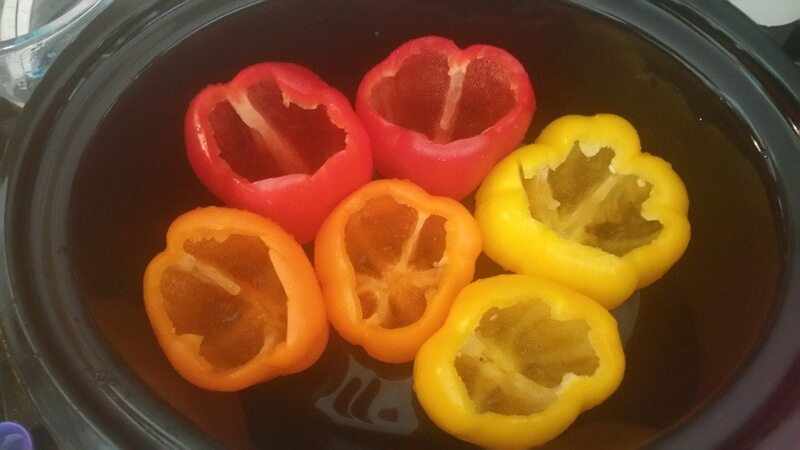 Put a little water in the bottom of your slow cooker and then put the peppers in. I used a small spoon to fit inside the pepper and then packed down the stuffing as I went. I used all the mix because I wanted to. The first batch wasn’t piled quite so high. 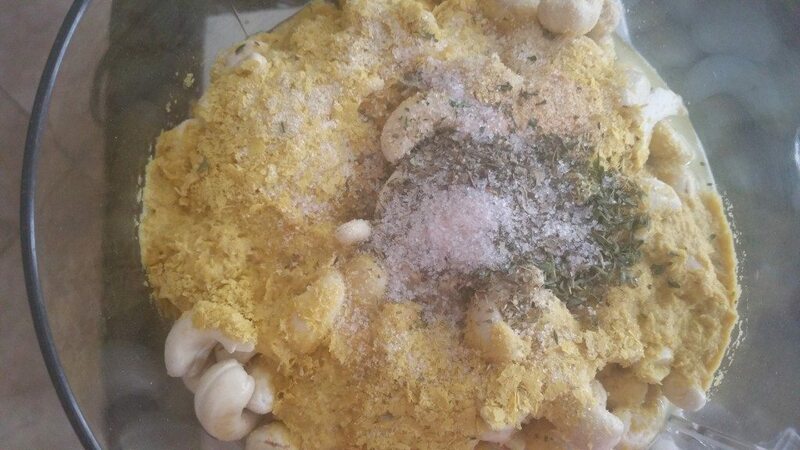 In food processor make cheese sauce by mixing until smooth: cashews, water, nutritional yeast, onion powder, garlic powder, basil, parsley, oregano, and salt. 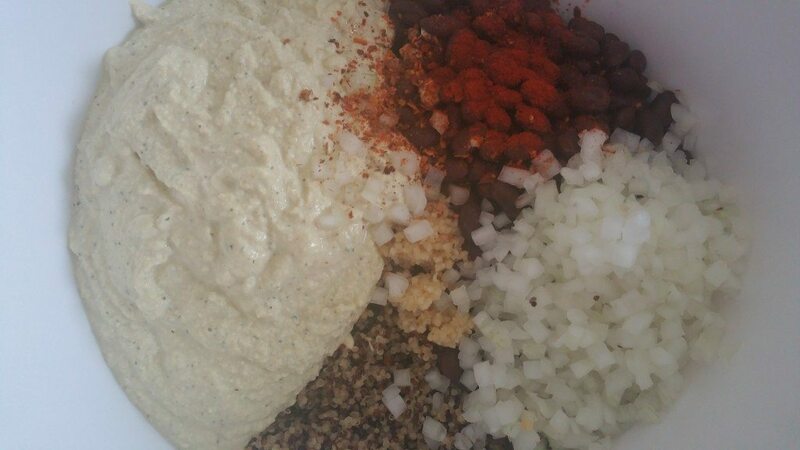 Put stuffing together in a large mixing bowl: cheese sauce, cooked quinoa, black beans, diced onions, minced garlic, Mrs. Dash's Southwest Chipotle seasoning (or chili powder), Smoked paprika, liquid smoke, salt and pepper. Unless you have 5-6 people that you are feeding, you are going to have leftovers. 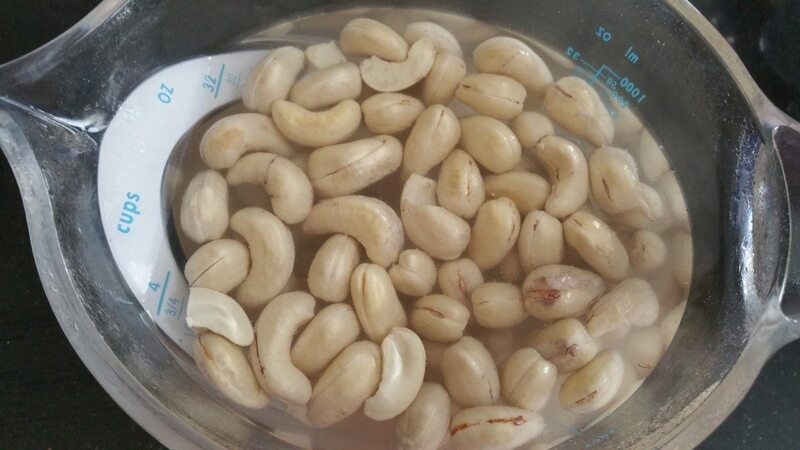 I cut them in half and then half again and pop in the microwave for about 2 1/2 minutes. They are just as good the next day and the next, etc. Try this recipe out on the unsuspecting and you may very well have a new family favorite on your hands at your house like we do at ours. Oh my gosh Revina, did you write this for me? I love quinoa, I love peppers and I especially love cashews. Definitely have to try this! Why yes, Karin, I did. I wrote this just for you. And for me. This is one of my favorite dishes. So glad you like it.